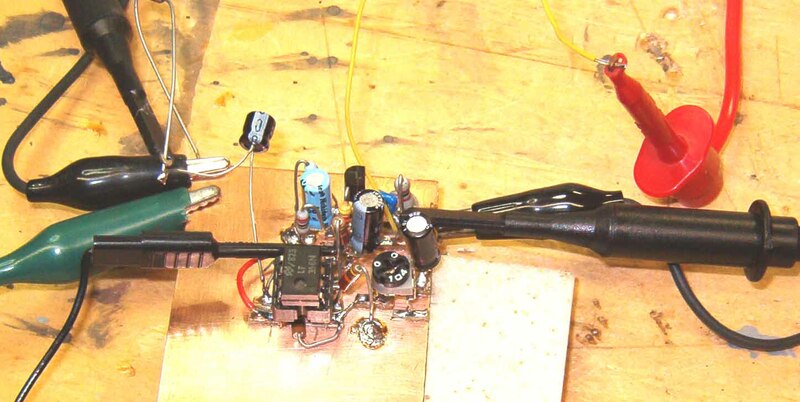 Here's the KISS rig's microphone input-preamplifier and balanced modulator board. The JFET input-amplifier stage is under test for the first time. The LF386 mini-DIP 8-pin op-amp socket is now mounted, along with its miniature gain-setting pot. 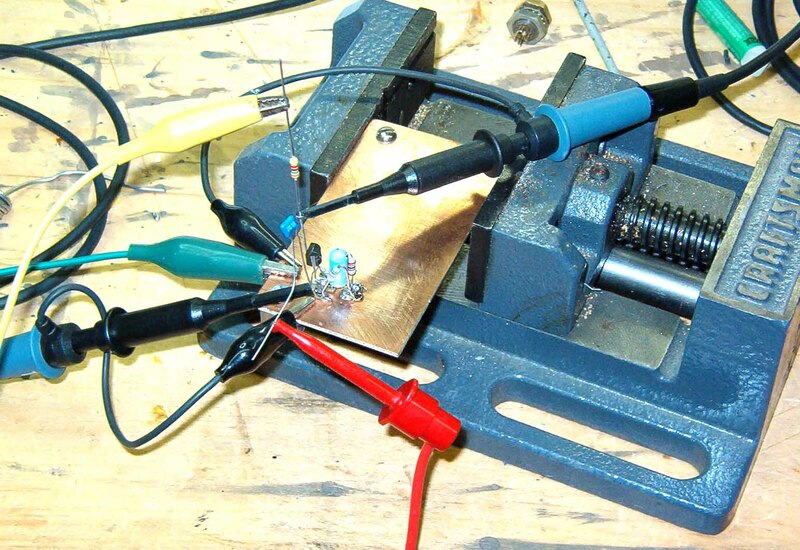 The JFET is coupled to the op-amp, and power (+12-V) is simultaneously applied to both stages for preliminary testing. Oscilloscope probes are attached to the input stage (right-hand probe) and output coupling capacitor (probe at upper left-hand corner). It's a long way from Shockley, Bardeen, and Brattain. A 1-kHz tone is fed into the JFET input coupling network (top trace). Its level is about 100-mV. The bottom trace shows the output of the op-amp into a 10-kohm temporary resistive load. Output level across this load is about 8 Vpp. 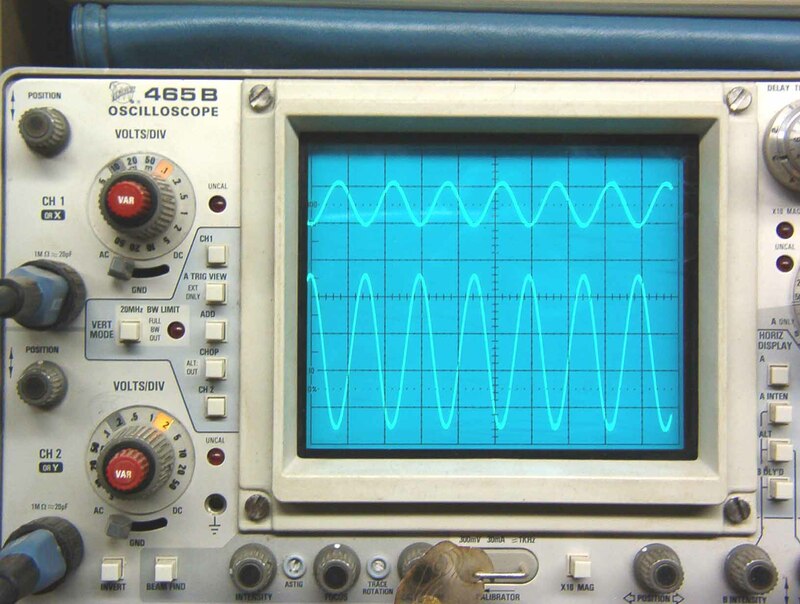 This test was repeated at increments from 100-Hz to 5-kHz. 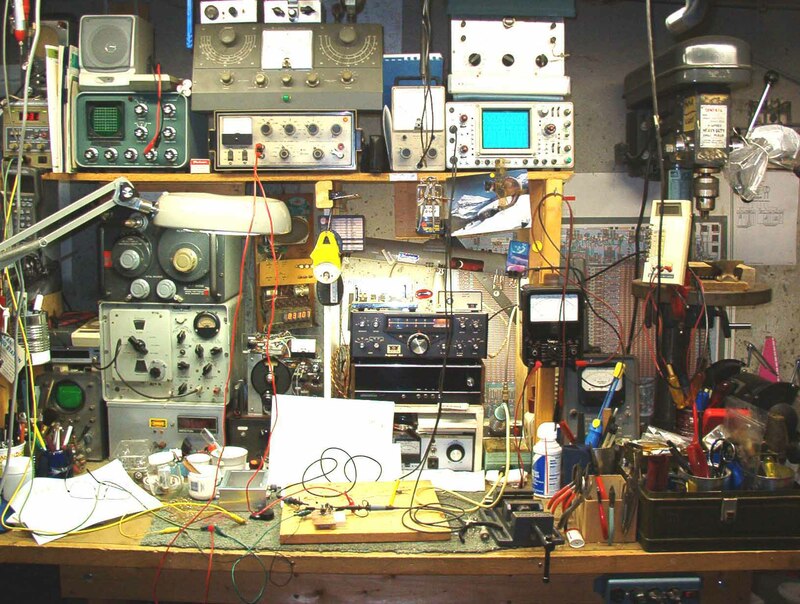 Here's the messy workbench (ca. 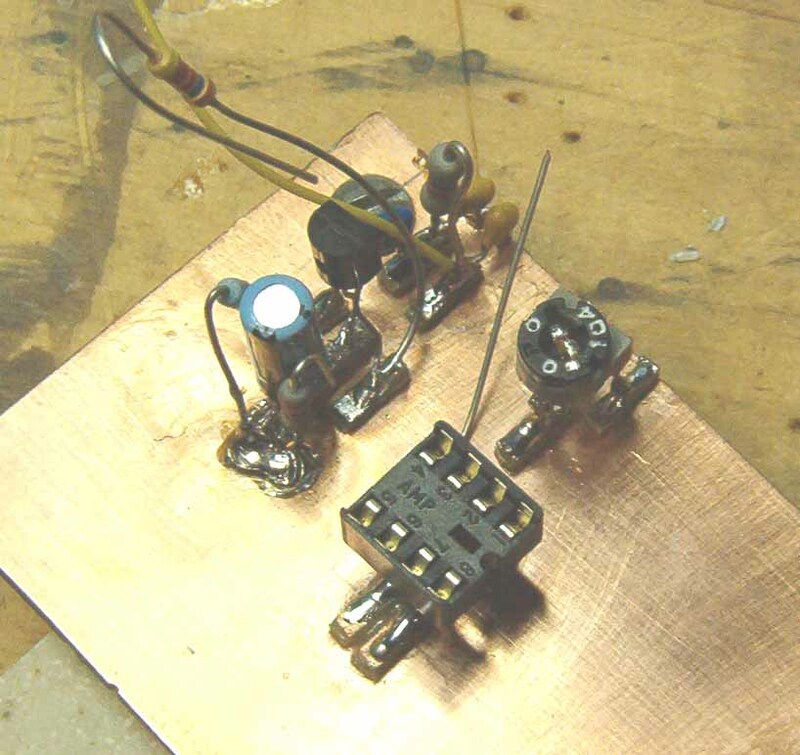 2005) after melting solder and making the microphone amplifier/buffer preliminary tests. Click here to return to the home page. Click here to view more balanced modulator details, including module photographs.